Hargis, K., Chopin, N., & McKenzie, M. (2018). 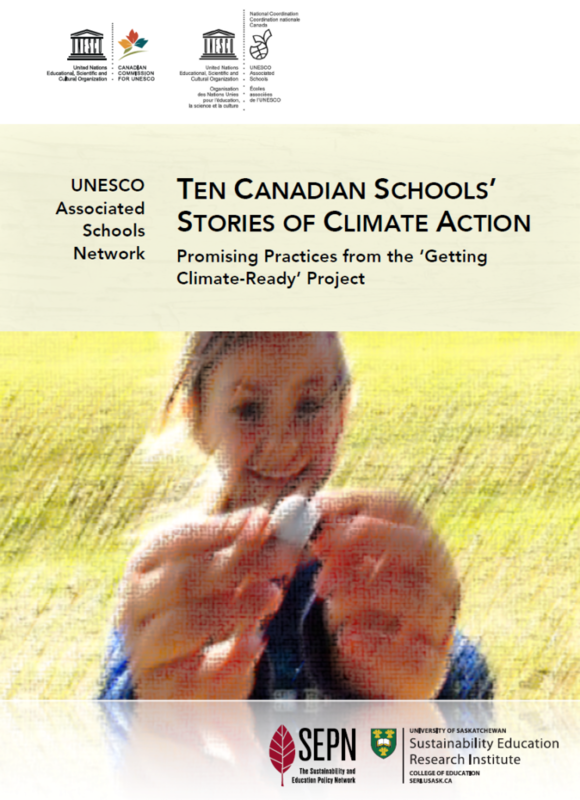 Ten Canadian Schools’ Stories of Climate Action. Sustainability and Education Policy Network, University of Saskatchewan, Saskatoon, Canada. View the French version of this report. Click on the image below to view a pdf version of the entire report (19 pages, 10 MB download).